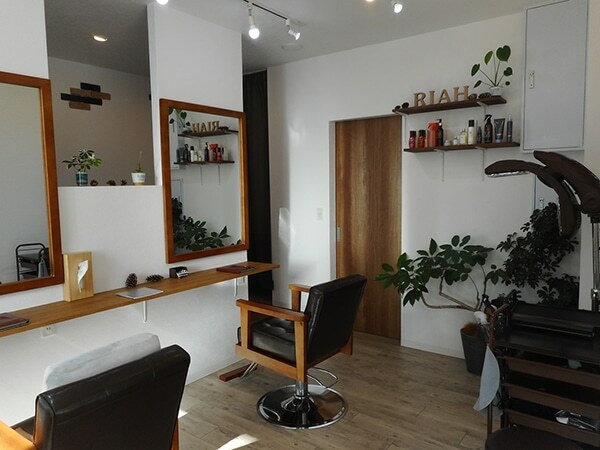 If I had to describe Hair Salon Riah in one sentence, it would be this: this is where I would want to get my hair cut before an important event. Welcome to Morishita, Koto City. 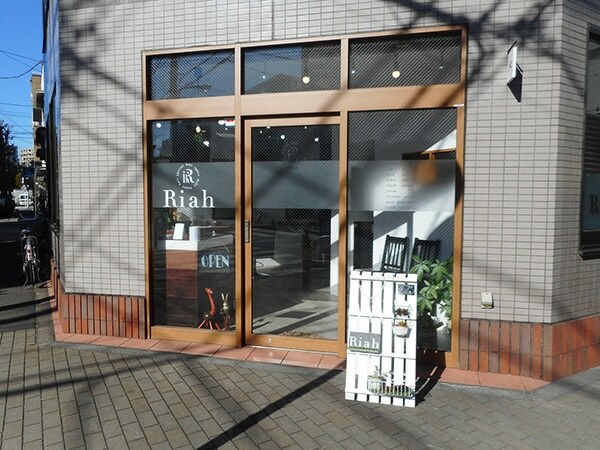 This neighbourhood has its share of lively shopping streets and restaurants, but where you’ll find Riah is tucked away in a quiet corner amidst houses and apartment buildings. Riah is Mr. Kazuma Tokoyo’s tour de force. 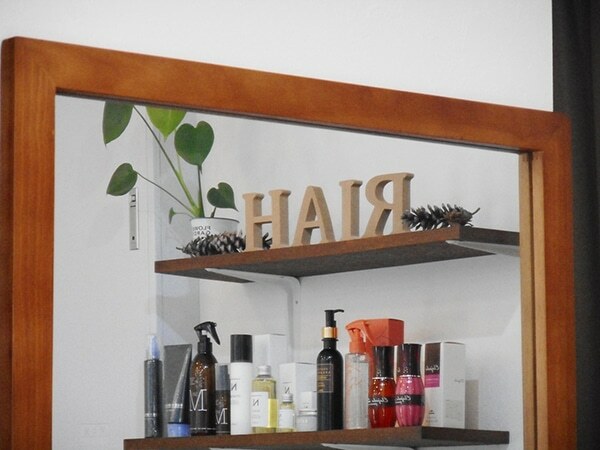 A veteran stylist with experience working in Omotesando (one of the most impeccably stylish neighbourhoods in central Tokyo), he opened Riah in July of 2018 after deciding he needed a change of pace. “I have a small child, and between the working hours and long commute, I wasn’t able to spend as much time with my family as I wanted,” he explained, noting the quiet atmosphere and accessibility of Morishita as reasons for the relocation. As well as an extra seat, set aside in a private nook. “I wanted to make sure there was a comfortable space available for parents of young children,” Mr. Tokoyo said. 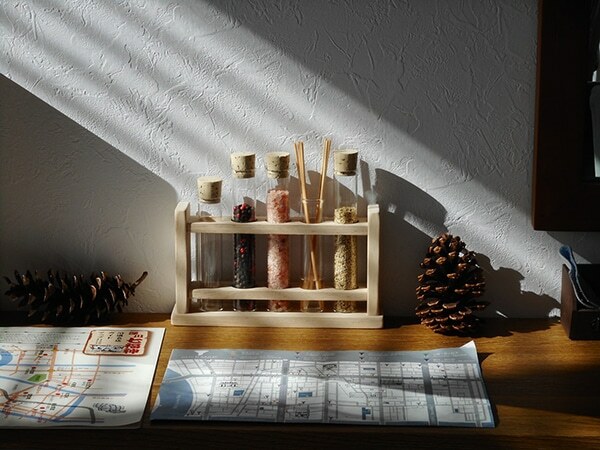 His own experience made him sympathetic to the need of other parents, leading to the creation of this thoughtful layout. 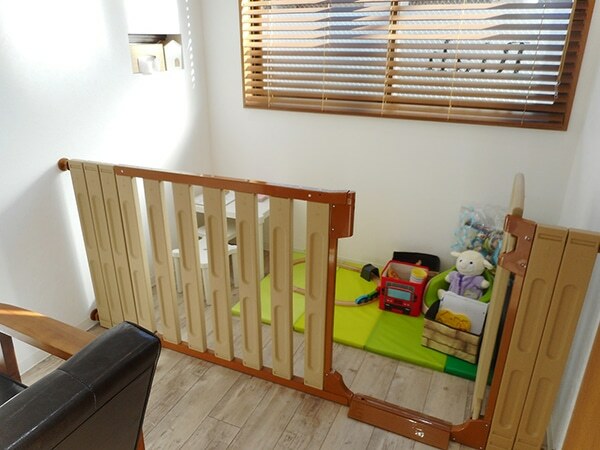 There’s even a play pen! This way, kids can keep an eye on their parents or guardians (and vice versa) at all times without getting bored. 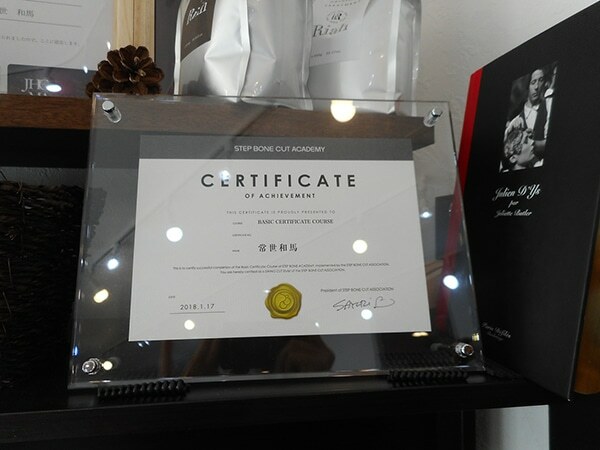 In fact, the more I talked with Mr. Tokoyo, the more I realized how in tune he was to his customers’ needs. Take, for example, the shampoo station in the back. 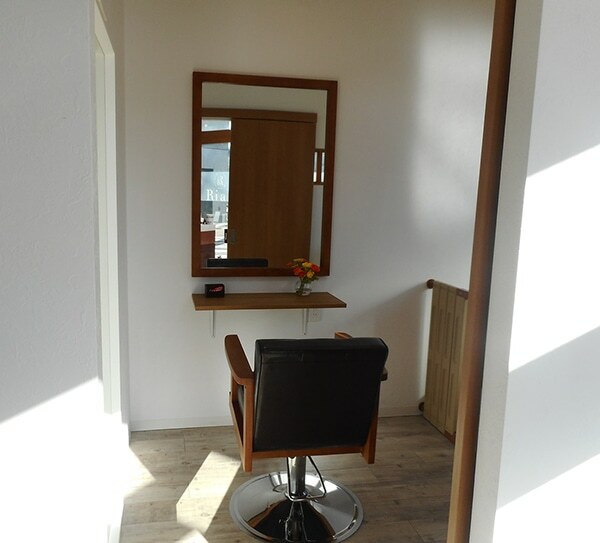 He noted that while the entrance to the hair salon was already wheelchair accessible, he wanted to do better with the interior. 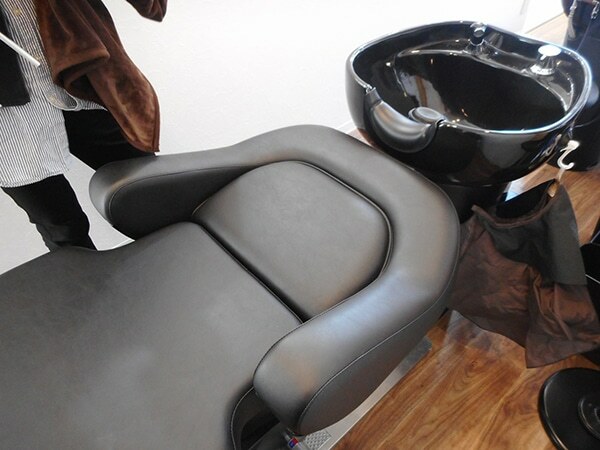 The chairs also have removable headrests. Such attention to detail really makes Riah stand out from the crowd. 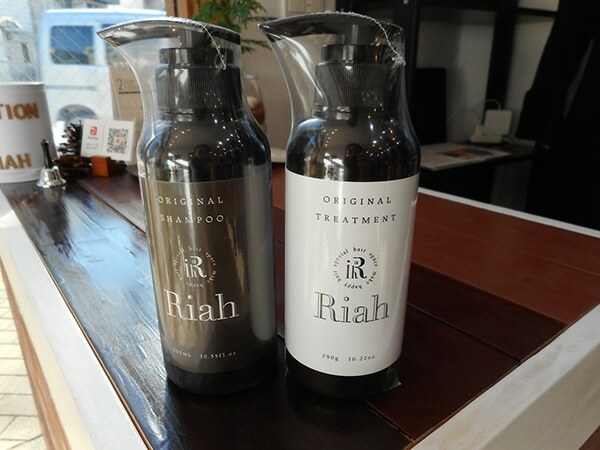 And speaking of shampoos, Riah has its own line of haircare essentials, produced by Mr. Tokoyo himself! When asked why he chose those two scents, Mr. Tokoyo had a surprising answer in store for me. He actually gave me a small vial of the set to try at home, and I have to say, I did indeed feel happier knowing I was using products developed with so much thought and care. The smell was heavenly, the texture was great, and it made showering feel more special than usual. Plus, my hair felt cleaner for longer! 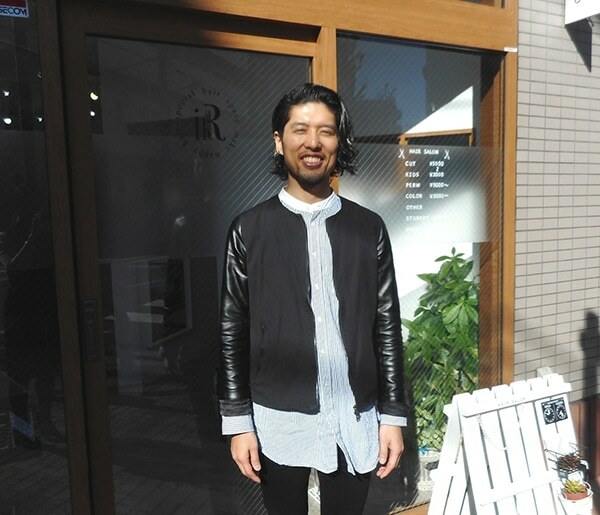 It would seem like being an expert stylist with a lot of heart, his own shop, and solid knowledge of hair health would be enough to set Mr. Tokoyo for the rest of his career, but his ambitions actually extend further. 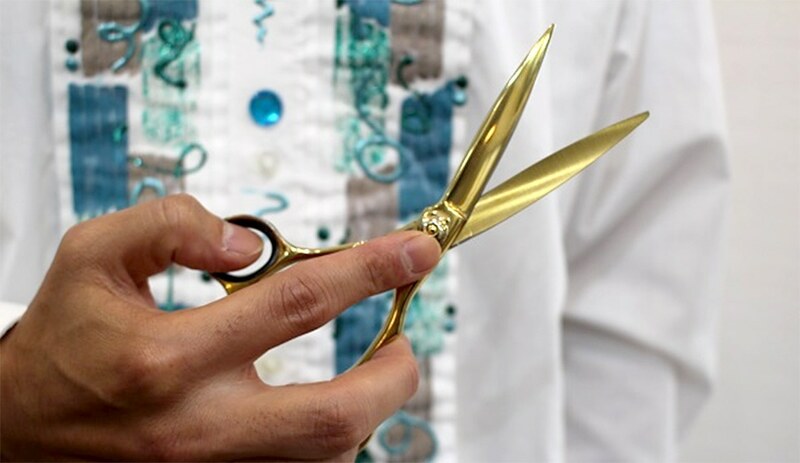 Among his extra certifications is the ability to perform “step bone cuts”, an innovative haircutting technique designed to flatter Asian features. 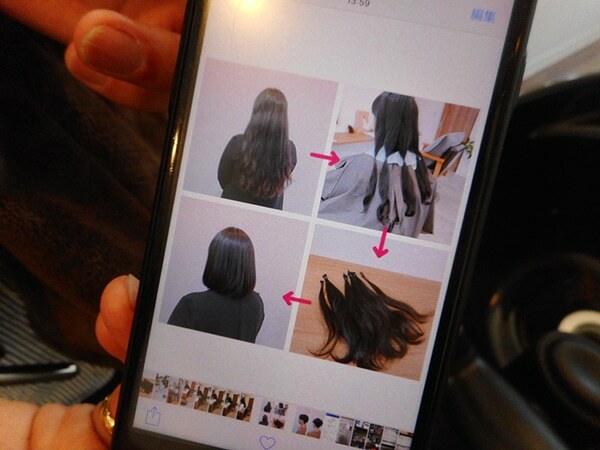 “The step bone cut was developed by stylist SAYURI, and has been certified on the international level.” Mr. Tokoyo is one of only 1000 stylists trained in this technique in Japan, which has helped many women fall in love with their hair (and themselves) all over. And, although he manages the salon all by himself, he’s also been doing a lot of collaborative projects with neighbourhood stores and businesses, creating events that bring people together. “We also have a special ‘parents-and-kids week’, usually once a month, where kids can get haircuts for free or at a reduced price if their parents get one,” he told me. Details on these events, as well as openings for appointments and extra information, can all be found on Riah’s Twitter, Instagram and/or LINE accounts—check them out through Riah’s website (link down below)! 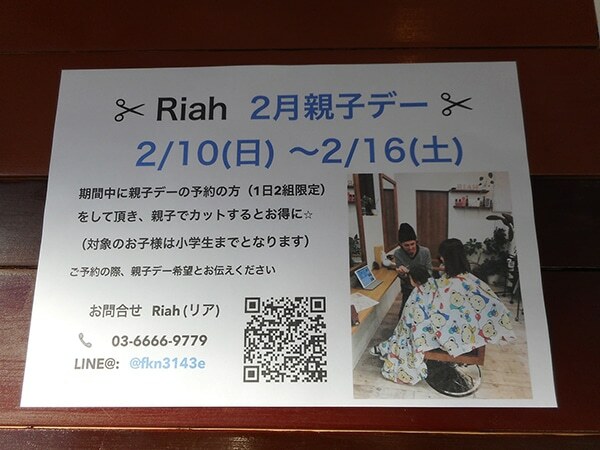 So, in conclusion, I stand by my opening statement: Riah is where I would go to get my hair cut before, say, an important date. Or a job interview. Or, really, anything that requires me to feel my best. 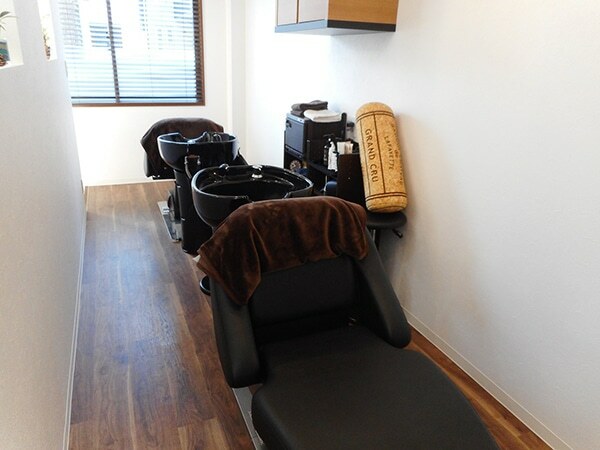 Whether that means getting a step bone cut to flatter my features, indulging my hair with some luscious shampoo and treatments, or trusting in Mr. Tokoyo’s expertise to style me up to impress, I’m 100% confident that I’d be stepping out of the salon afterwards feeling vibrant, and ready to take on the world.